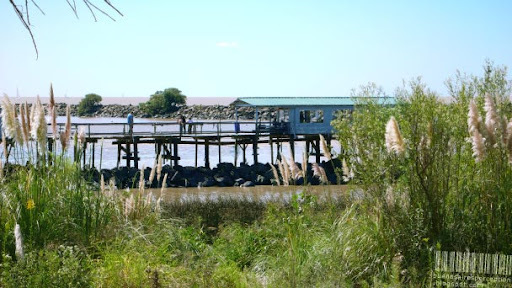 The National Park and Ecological Reserve Costanera Sur is a very young recreation area in close proximity to downtown Buenos Aires. This small little hut is located at a lagoon separated by a dam from the Río de la Plata (River Plate). It invites to rest in a peaceful atmosphere, watch birds or go fishing and forget about the rush of the Argentine Capital. Isn't "plata" Spanish for silver? Sounds and looks like a very relaxing place! Yes, indeed, plata means silver. But there was no silver at all. The conquistadores searched for it for centuries but did not find an ounce.